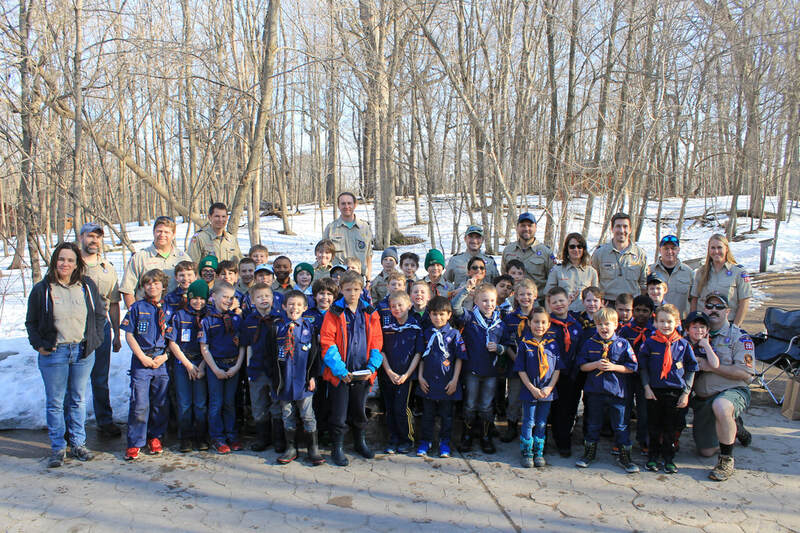 Pack 283 is a Cub Scout Pack in Wayzata, Minnesota, and chartered by Wayzata Community Church. Founded in 1944, it is the longest continuously chartered Pack in Minnesota. The program is open to boys and girls from kindergarten through fifth grade. Our Pack is made up of children primarily from Gleason Lake and St. Bart's Elementary Schools, as well as home-schooled children. Spring Family Camping Event (4/26-4/28): On April 26th through 28th, Pack 283 will host its annual Spring Camping Event at the Near Wilderness Settlement in Baker Park Reserve in Maple Plain, MN. This is camping for the whole family. Come for the day or stay the weekend. See the Near Wilderness page for more information! 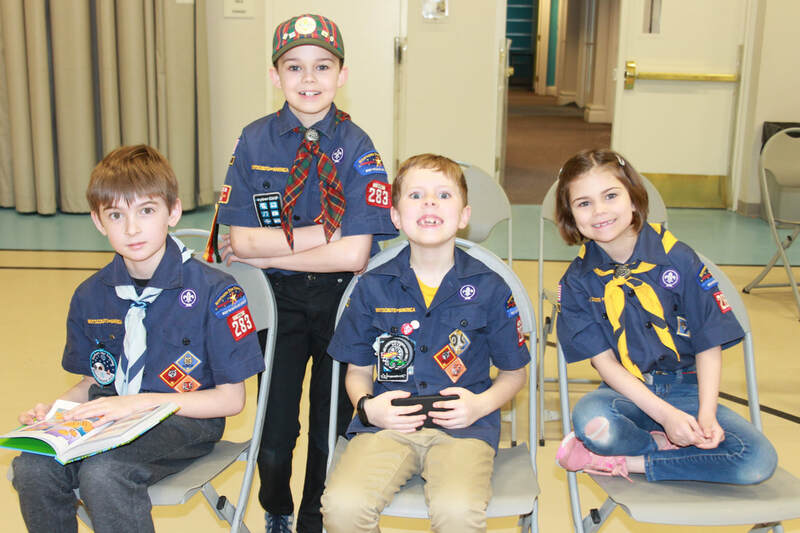 Pack Committee Meeting (5/7): On May 7th, Pack 283 will conduct the May monthly Pack Committee Meeting at the Wayzata Community Church at 7:00PM. The meeting is led by Pack leaders, but other Pack parents are always welcome. See the calendar page for more information! 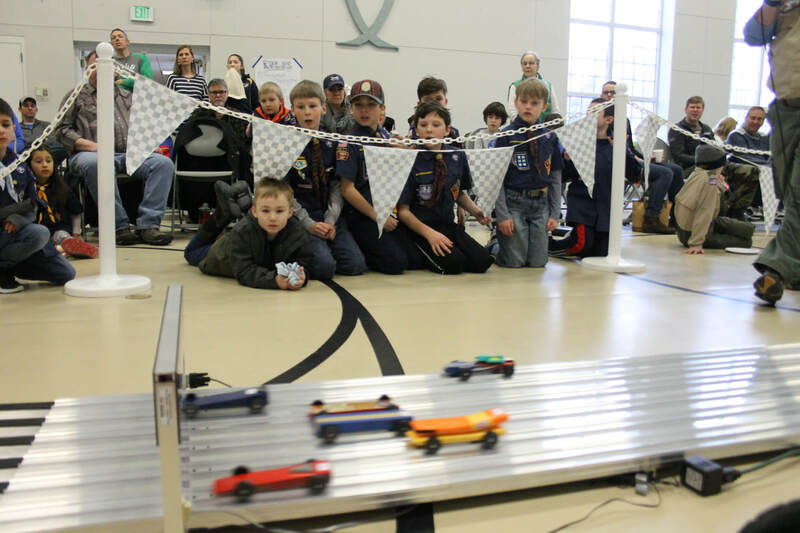 May Pack Meeting (5/13): On May 13th, Pack 283 will conduct the next monthly Pack Meeting at the Wayzata Community Church at 7:00PM. See the calendar page for more information! Scouting does build character - we can prove it! We've always thought that Scouting is good for our children's character development and now there's a study to prove it! A published study by Dr. Richard M. Lerner and Tufts University, funded by the John Templeton Foundation followed 1800 Scouts and 400 non-Scouts over more than 2 years and studied their character development. Click to learn more via this informative infographic. Pack 283 needs your help! We are currently looking for volunteers to fill several important leadership positions. Pack leadership is fun and rewarding. The success of our scouting program depend on YOU! Visit the volunteer opportunities page for more information.